The gifts made by our community have enabled the College to award scholarships, build incredible facilities and support programs that otherwise would not be available. 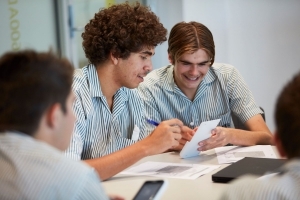 Each year Wesley College is proud to offer indigenous, academic, rural, music and general excellence scholarship to students with unlimited potential. The College’s Scholarship Program has granted opportunities for many students like Casey York (05–09) and Devyn Jackamarra (06–09), talented, motivated and energetic men with a genuine thirst for lifelong learning. To read more about Casey and Devyn, click here. The College’s benefactors have also supported The Wesley College Building Fund which has allowed the school to complete building projects as the Mildred Manning Science Centre, Ward and Kefford Wing renovations and Joseph Green Centre just to name a few. 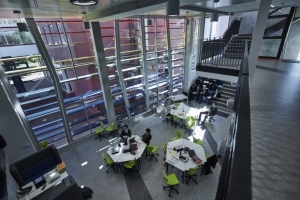 These are innovative spaces that impact on the education and lives of our students. If you would like to make a donation you can do so by clicking the ‘Donate Online’ button below. Alternatively, you can download the a donation form here. Donations to The Wesley College Scholarship Fund, Wesley College Building Fund and the OWCA’s Mildred Manning Scholarship Fund are tax deductible. Do you need some assistance? We’d be happy to help!